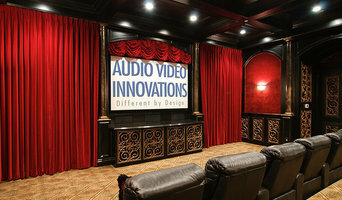 Sound Ideas Home Theater Design was founded in Fort Worth, Texas. We are the oldest electronics integration company in Tarrant County. The company established its roots in 1972, as a local hifi shop, later including tv/video systems and car audio. 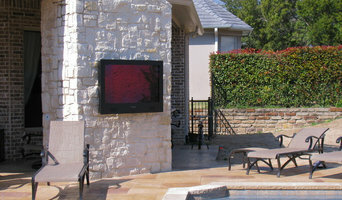 We helped pioneer the concept of custom audio video installations back in the 1980’s. As times have changed, so has Sound Ideas. We are now a “by appointment” electronic systems contractor that offers a customized turnkey solution to our clients. Imagine watching or listening to your TV shows, movies, and music anywhere in your home. 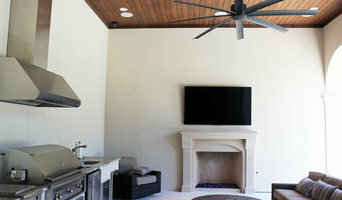 eStream Digital designs systems enabling you to take control of your TV, movies, and music at the touch of a button. Wirelessly manage all your music and movies Watch a TV show or movie in one room or multiple rooms simultaneously Listen to playlists or Internet radio anywhere in your home Individually control the volume in every room Access any music. Anytime - ITunes, Pandora, tunein, SiriusXM, Rhapsody, iHeart Radio, MOG, Slacker We offer the ultimate home automation solution by seamlessly linking the electronic components and systems you already use on a daily basis. By integrating everything from lighting, music, video, climate control, security— even smartphones and tablet. We create personalized experiences that enhance your life by adding comfort, savings, convenience and peace of mind. What do you want to Control? Music Movies TV/ Projector Door Locks Blinds Garage Doors Lights Cameras Pool Security System Sprinklers Thermostat Imagine enjoying a great movie with friends and family in the comfort of your own home. Whether you’re looking for a dedicated home theater with cinema seating, 3D picture, THX sound, or you wish to disguise your viewing area as a living room when not in use eStream Digital will design a system that is the perfect fit for your space, your acoustics, and your budget. eStream Digital understands the importance of designing systems for the lifestyles of today and preparing them for the lifestyles of tomorrow. There are many steps to the process of building a new home renovating an existing home and it is crucial that the first step is a properly designed structured wiring system A solid and secure network is the foundation of a technologically advanced home. Having a well-designed home network will enable your devices to quickly and efficiently communicate with each other and over the internet enabling all members of the household to share pictures, documents, movies, and games. Most importantly eStream Digital understands the importance of having you’re your network secured and your information backed up. Please contact us for your free in-home consultation at the following: 469-518-5555 sales@estreamdigitial.com or visit us on the web at www.estreamdigital.com We look forward to earning your business! Multimedia Solutions, Inc. was established in 1983. From the beginning, our goal was and continues to be, to provide homeowners and businesses with exceptional industry expertise and the best-in-class solutions for all of their multimedia and security needs. We offer a wide range of system solutions to fit into any budget and offer custom design services for projects ranging from simple, yet sophisticated to extravagant and luxurious. We fully manage and coordinate all aspects of our projects from start to finish, including: Design, Engineering, Programming, Installation, and Servicing. With over 34 years in business and a dedicated team of industry certified professionals, we welcome your call and look forward to completing your project. Austin | Dallas | Denver | Houston | Nashville Multimedia Solutions, Inc. was established in 1983. We are family owned and operated. We truly believe in making every client we have feel like they are part of the Multimedia Solutions family. From the beginning, our goal was and continues to be, to provide homeowners and businesses with exceptional industry expertise and the best-in-class solutions for all of their multimedia and security needs. We offer a wide range of system solutions to fit into any budget and offer custom design services for projects ranging from simple, yet sophisticated to extravagant and luxurious. We fully manage and coordinate all aspects of our projects from start to finish, including: Design, Engineering, Programming, Installation, and Servicing. With over 34 years in business and a dedicated team of industry certified technicians, we welcome your call and look forward to completing your project. Smart and Sound Technology Solutions is the leader in smart-home automation innovation. Offering state-of-the-art design and intuitive applications that helps improve homeowners’ lifestyle. Designing tailored solutions beginning with bullet-proof Wi-Fi, home lighting, window blind controls, home-security, whole-home entertainment, home theater, special-needs environments, entry-point access, environmental controls, voice-controlled systems, and much, much more. Our team of expert technicians have more than 30 years of experience creating custom lifestyle solutions that fulfil our client’s specific needs whether that be complete voice control over your entire home including lighting and entertainment or remote-access to your home security. Smart and Sound is your end-to-end technology concierge for the duration of your home ownership.